Openoffice is a open source and free software pack that its functions and features is very similar to Microsoft Office Home. It has the software for typeing like Microsoft Word, has the software for doing powerpoints, has the software to do the calculation and graphing like Microsoft Excel, etc. Personally, I been using Openoffice to do all my class works for two years and I am very satisfied with it. Openoffice is great for all students to use no matter High School students or College Students since it is a free software; they do not have to pay for about $80 dollars to pay for the Microsoft Office pack and the only softwares they oftenly use are Microsoft Words and Excel (power point sometime). Moreover, since Openoffice is open source, it has many add-on extensions you can download to expand your using experience like Firefox does. 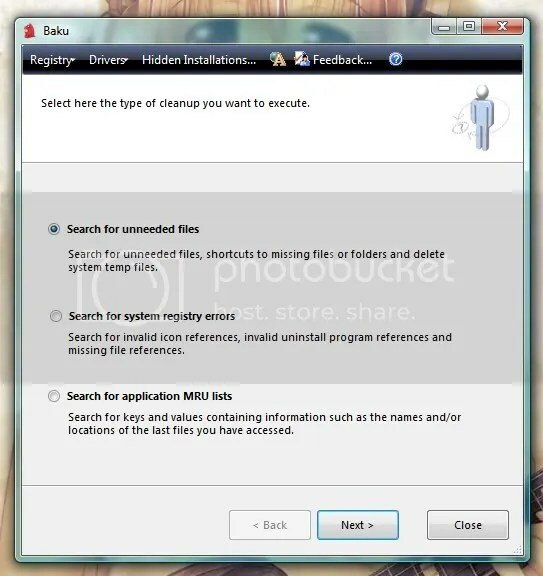 As you can see in the picture, this software can automatically delete some junk files that your computer does not need, and correct registry errors in the computer. Moreover, this free software runs preety fast which is what I like the best. I strongly recommend people download this free software to help their computers run faster. Baku allows you to search for system registry errors and unneeded files that can be safely removed. Features include deletes empty folders, history folder contents, recent documents folder contents, temp folder contents, temporary Internet files, and cookies. Searches Windows log files, shortcuts to missing files and folders and user specified file types. 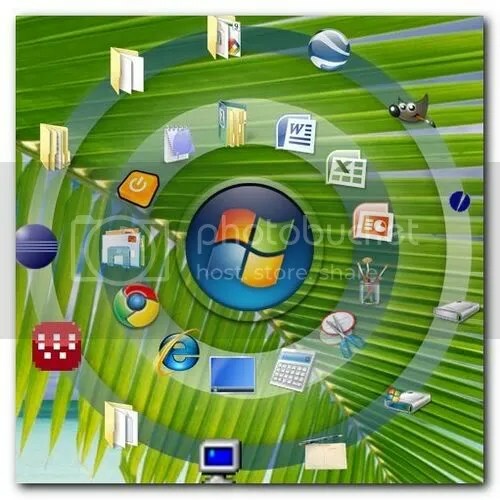 Registry scan removes unused and obsolete keys, including ActiveX/COM, application paths, fonts, help files, icon files, sound files, uninstall programs, and Windows installer. Robots are always bastards. There’s no way around it. We build them and they killed us all. Well almost all, I’m the Earth’s last survivor. But with my time traveling groundhog sidekick I’m going to destroy the robot liberation army and take back Earth. Control with [WASD or ARROW KEYS]. Aim and Shoot with mouse [LEFT BUTTON]. When you die press [SPACE] to travel back in time. Although this is not a game that was created by some big game production companies, still it is a fun game to play with. Crayon Physics Deluxe is a sequel to the popular freeware game Crayon Physics. Or you can think of it as the game I would have created if I would have had more than 7 days to do it. Way more than 7 days. More like 7 months or 17 months. 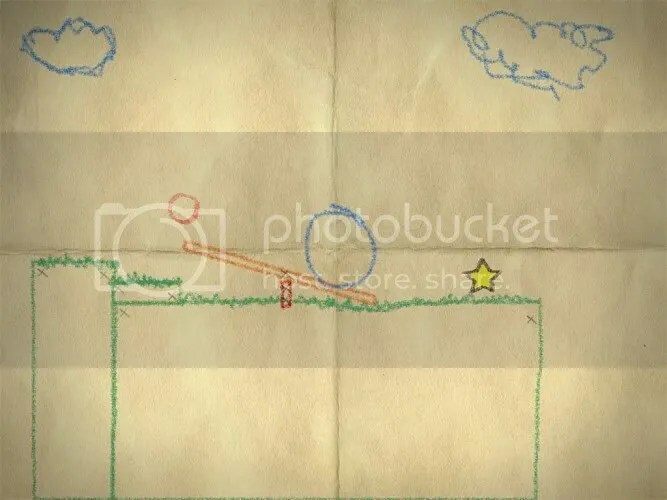 Anyway Crayon Physics Deluxe is a 2D physics puzzle game, in which you get to experience what it would be like if your drawings would be magically transformed into real physical objects. Solve puzzles with your artistic vision and creative use of physics. This software can change your desktop wallpaper automatically by loading the pictures or photos in your computer and gather them to form a wallpaper. Also, you can set the time to tell the software when to change to another wallpaper. This is a must have software that can make your desktop to look cool. * Folders containing pictures on your computer such as ‘My Pictures’. * Flickr photo sharing – selecting pictures by person, tags, sets or just plain random. You never know what you’re going to get next! * Phanfare web albums – keep up to date with your friends and family. * smugmug photo galleries – yours, your friends, anybody’s! 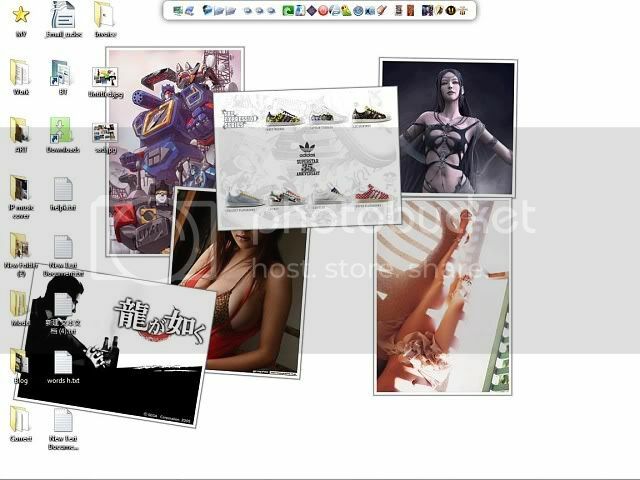 * Picasa Web Albums – choose from specific albums or any search text. * Facebook – your friends photos on your desktop! * Yahoo! image search – the internet is your oyster! Some example of what John’s Background Switcher can do. This is a very cool and useful little gadget software.The function of this soft is that it holds the shortcuts of any softwares in the computer like the Mac Dock if you know something about Mac. 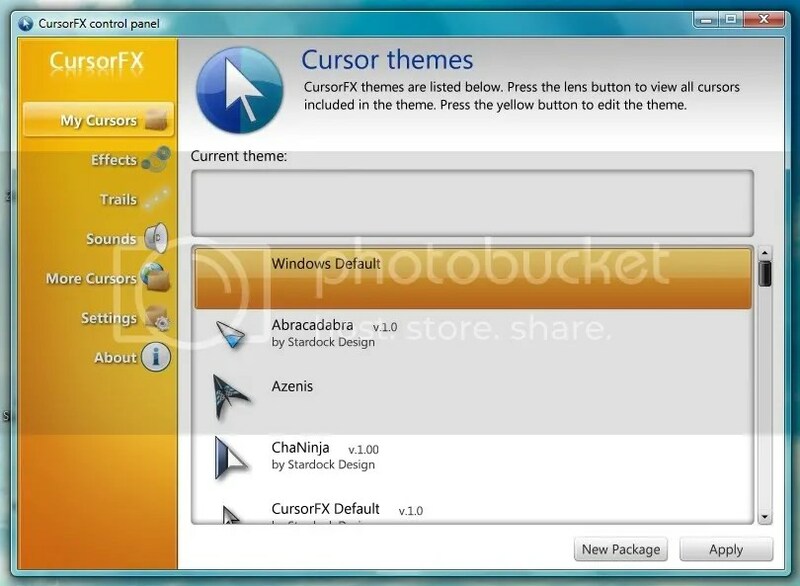 Moreover, people can customize this software like its appearance, size, icon of the shortcuts, etc. 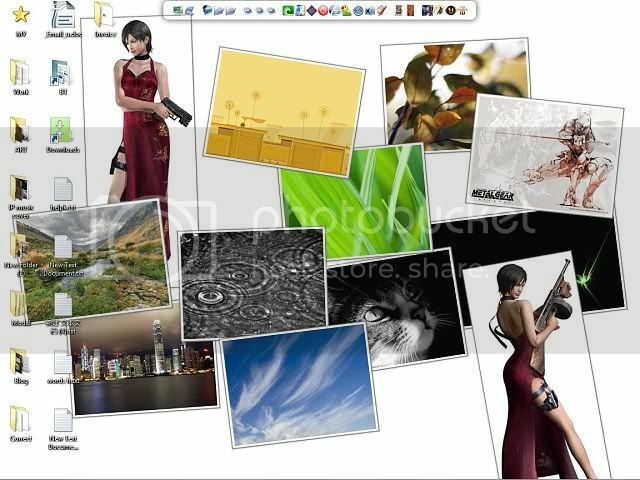 Overall, this software is very easy to use and makes desktop to look brilliant, a must download software. RocketDock is a smoothly animated, alpha blended application launcher. It provides a nice clean interface to drop shortcuts on for easy access and organization. Now with added Taskbar support your minimized windows can appear as icons on the dock. This allows for better productivity and accessibility. Features: Minimize windows to the dock. Real-time window previews in Vista. Running application indicators. Simple drag-n-drop interface. Multi-monitor support. Supports alpha-blended PNG and ICO icons. Icons zoom and transition smoothly. Auto-hide and Popup on mouse over. Positioning and layering options. Fully customizable. Completely Portable. ObjectDock Docklet support. Compatible with MobyDock, ObjectDock, RK Launcher, and Y’z Dock skins. Runs great on slower computers. Unicode compliant. What Rocket Dock looks like when inactive. 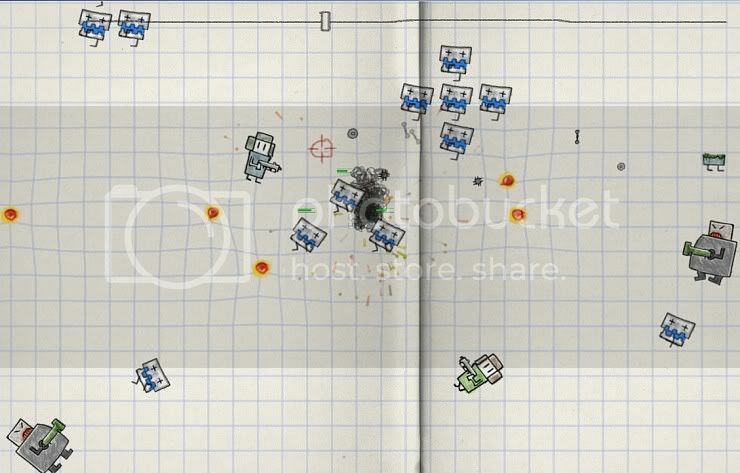 What Rocket Dock looks like when active. DId you ever feel regret after deleted something in your computer but you did not know how to recover them? Here are some free softwares that can help you recover most of them back to normal. Very easy to use if you follow the steps it tells you. 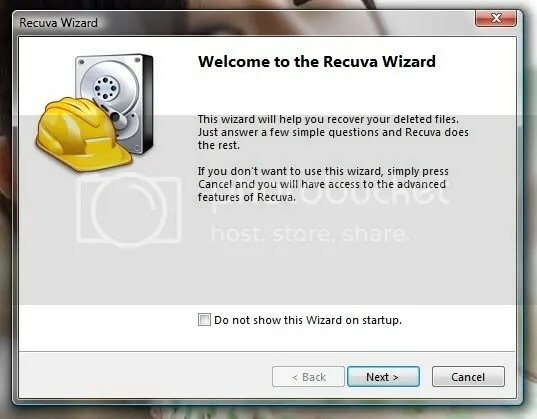 Recuva (pronounced “recover”) is a Windows utility to restore files that have been accidentally deleted from your computer. This includes files emptied from the Recycle bin as well as images and other files that have been deleted by user error from digital camera memory cards or MP3 players. It will even bring back files that have been deleted by bugs, crashes, and viruses. Basically K-Lite Codec Pack is a pack that contains a video player and a lot of video codes, so you can watch almost all different videos out in the internet. 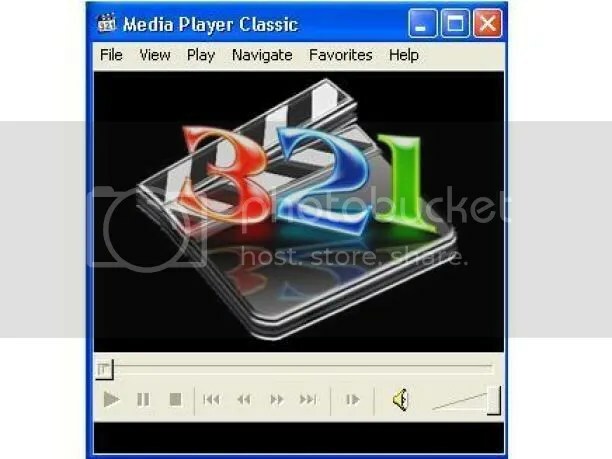 This software can also play all kind of different format videos, like Windows Media Player format, QuickTime format, Real Player format, HD format, etc. In other words, one player rules all the other players. By the way, this player uses less ram than all other players. Sometimes you wanna share some photos that you took with your friends or others, but the size of the pictures are freaky large that will take you hella long time to upload them all into the internet. However, VSO Image Resizer is a free software that can helps you to resize all your pictures into smaller sizes without losing any quality of your photos. Thus, when next time you upload your photos, the uploading time will decrease. Since this is a free software, when every time you open the soft it will pops out a box which tells you whether to continue the software or buy the software. 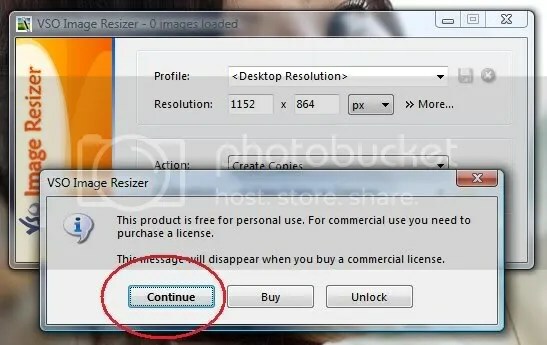 All you have to do is to click the continue when every time you using it. The free VSO Image Resizer software organizes your photos by changing their resolution or moving them within your hard drive. VSO Image Resizer is the perfect tool for those who store their digital pictures and images on their PC and who want to resize, compress, convert, create copies, create thumbnails, and import or organize photos.